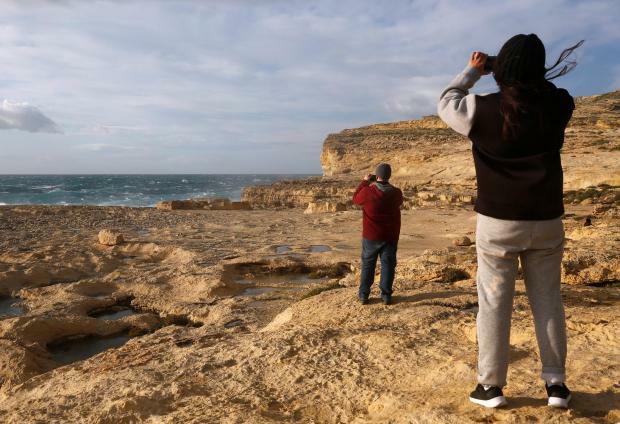 The government will be launching an "international initiative" following the collapse of Gozo's Azure Window, but it will not be rebuilt, the government said today. Addressing a news conference, four government ministers paved the way for ideas a day after the iconic Dwejra rock crashed into the sea, eradicating one of Malta's most picturesque sites. Leave the site as it is. The temporary order which had been put in place banning anybody from crossing onto the rock will be shifted underwater so that nobody can touch the remains. The details were unveiled during a news conference by Environment Minister Jose Herrera, Culture Minister Owen Bonnici, Gozo Minister Anton Refalo and Tourism Minister Edward Zammit Lewis. The initiative was first unveiled by Prime Minister Joseph Muscat when speaking to Sky News on the sidelines of the EU summit. The government has insisted that several studies had shown that no man-made intervention could have prevented the collapse. Asked whether the iconic Dwejra rock could actually be rebuilt, the Prime Minister said this was not necessarily the case.